Karan Saini is a board-certified Physician Assistant specializing in pain medicine. Born in Santa Clara, California and raised in Austin, Texas, Karan earned his Bachelor of Science degree in Biology from Baylor University. With a minor in the Medical Humanities and study in palliative care, end-of life issues, and bereavement, Karan developed a desire early on to serve those with chronic pain and suffering. 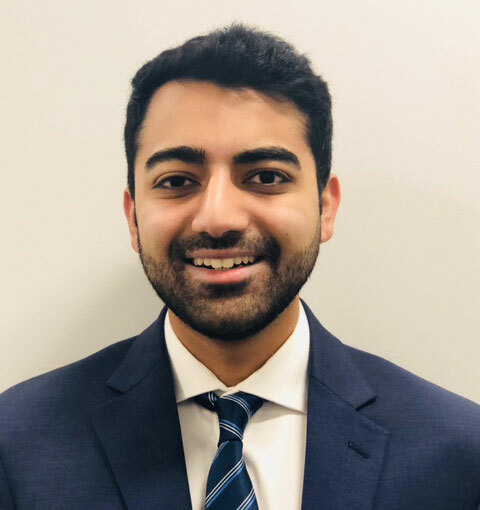 During his undergraduate studies, Karan worked as a licensed Emergency Medical Technician in a level 2 trauma center, and accumulated thousands of hours of experience taking care of patients in many emergent and traumatic situations. It was here he grew to love team-based approaches to medicine and chose to pursue the opportunity to continue long term care with his patients. He then went on to earn his Master of Physician Assistant Practice degree at Ohio University in Columbus, Ohio. There, he gained substantial clinical experience in a variety of disciplines, with specialty training in Otolaryngology, Urology, Colorectal Surgery and Emergency Medicine. As a Physician Assistant, Karan works in collaboration with his physician partners to give quality care for acute and chronic pain arising from the spine and musculoskeletal system. He is trained to preform ultrasound guided injections, optimize medications, order imaging and develop, coordinate, and manage treatment plans. Karan is currently accepting new patients and looks forward to providing care with a thoughtful, compassionate, and holistic approach. In his free time he enjoys cooking, hiking, and playing the synthesizer.